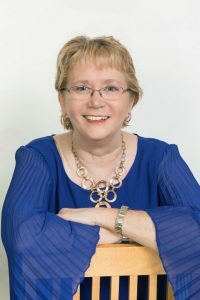 Cindy Ervin Huff, a multi-published writer and winner of 2014 Editor’s Choice and 2017 Maxwell Awards for her first novel Secrets and Charades. She has a passion to encourage other writers on their journey. A member of ACFW and founding member of Word Weavers, Aurora, Illinois. Check out her blog Jubilee Writer www.jubileewriter.wordpress.com or visit with her on social media. In my newest novel, New Duet, Isabella Wilson lost her identity as an artist when she married Music Pastor Ron Marklin. Verbal abuse and manipulation suffocated all her creativity and placed a strangle hold on her faith. Her husband’s sudden death during a church service poured guilt on her heart. Seeking penance, she agrees to live with her irrational mother-in-law. When her self-esteem reaches an all-time low, she discovers the truth behind Ron’s death and finds the strength to relocate to her sister’s home in Illinois. There she hopes to find her pre-Ron self and maybe her artist muse. Wounded Warrior Dan Sweeney puts all his effort in appearing normal. Which isn’t easy when his prosthetic leg and missing fingers set him apart. His PTSD and panic attacks are kept at bay by his service dog, Brutus. Rebuilding his life as a civilian is harder than anything he encountered in the army. Isabella finds herself drawn to Dan which both scares and excites her. Until she can stand alone once more, she isn’t ready to stand with Dan. The military has made Dan a patient man. He senses the connection between them. Isabella’s vacillating response to his overtures both frustrates and encourages him. He will do whatever it takes to win the heart of this fragile woman. I love historical romance and contemporary romance with more than boy meets girl substance. My stories have more going on before the characters reach their happily-ever-after. Things readers can apply to their own lives. Hope in hard times. As long as I can recall I’ve made up stories in my head. I’d talked out my imaginary scenarios in the shower and as I drifted off to sleep at night. It wasn’t until I became a Christian I felt God calling me to write. I wrote everything from skits to radio dramas to newspaper columns and children’s stories. I didn’t start writing novels until I was 50. That was awhile ago. Now that I know God is in the character’s creation in my head, I freely release them on the page. I can’t not write. My heroine is Isabella Wilson and my hero is Dan Sweeney. Both characters “told” me their names. Isabella is Hispanic, adopted by a white family who has other international children. Dan is a wounded warrior. Oh, wow. Interesting question. I have my eldest son’s family living with me. He did his stent in the Army, and he and his wife went back to college. My three darling granddaughters live with us too. So, there’s lots of school preparation and after school homework. On top of that, my daughter-in-law’s father also lives with us. They are Filipino, and he had lived with them in Germany. Almost daily, we dog sit my eldest daughter’s aging dachshund. I work a part-time job and am responsible for my elderly mother in assisted living. On any given day my perfectly laid out schedule gets side-tracked. It seems the more writing commitments I have (presently I have four), the more my schedule gets wonky. But that’s life. Next year we will finally be empty-nesters, the chaos will probably take on other forms. Believing in myself. There is always someone I feel is a better wordsmith. And before I was published, there were the naysayers. Now that I have book two coming out and other books in the pipeline toward publication, I still fight that unworthy feeling. Seeking the Lord always brings me back to trusting him for the words, the right critiques and editors to help shape those words, and the connections He wants me to have for publication. What’s the best part of your author’s life? Creating stories. I get to talk to people in my head without anyone thinking I’m crazy. And share God’s truth without hitting people over the head with Scripture. Fulfilling my dream of getting a novel not only written but published. Secrets & Charades was rejected twenty times and took twelve years and lots of rewrites to receive a contract. New Duets only had a few rejections. Reading and playing games with my family. I have five children and when we all get together it’s game night. I also love walking with my hubby when the weather is nice. Secrets & Charades is my historical romance. It’ll be in a historical romance novella collection slated to release in 2019. It will be interesting to only write 20,000 words when I’m use to 80,000. I have completed the sequel to Secrets & Charades, but it is not contracted yet and the third book in the series is underway.